Yesterday's desk started off with an insane amount of chaos. But, I took the time to clean it off and start anew. This morning, I found only two projects on it. I started with the in-progress art journal page. And finished it quickly with some doodling. 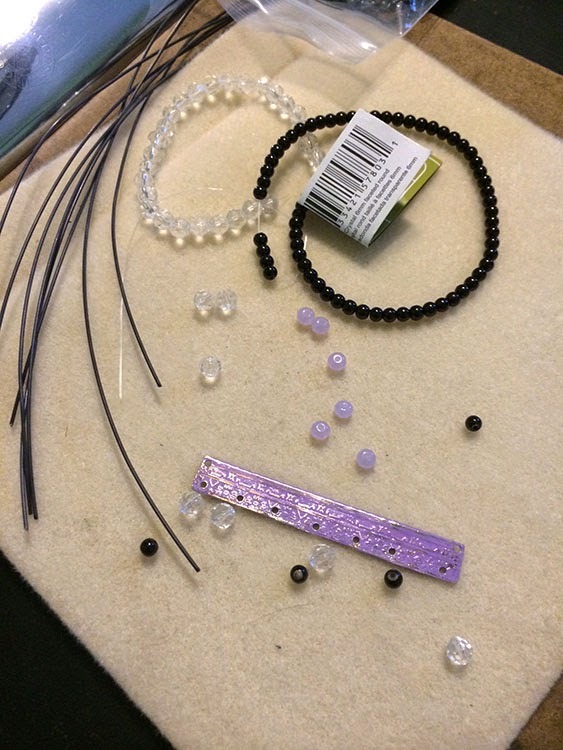 Now to focus on some jewelry-making. I'm linking up my desk at Stamping Ground's What's on Your Workdesk Wednesday. Seriously, what's on your workdesk today? I always say I am going to join in on these but never do. Love the journal page. I love the journal page - the background is amazing, what beautiful jewel like colours. Hi there. 😊 thanks for stopping by my desk today. I appreciate all visits and comments. I love your journal page. There is quite a change from where you continued on it and the finished project. Awesome! Hope you're enjoying some lovely weather as we are here. Nann, You are welcome. Yes, I couldn't believe that with just some black and white ink, that page evolved so quickly.As well, the weather here is amazing at the moment! :) Enjoy yours as well. I love your colorful journal pages! The only thing on my work desk is.... work, as in bills to pay, receipts to file, and post it notes with lists of things to do on them. :-( Too much work. No time to play. Hopefully soon though. Lorraine, Oh! Here's wishing that you do find some time to play. The weather is too wonderful not to enjoy it in some way (I write this as I'm sitting here with windows open and a breeze blowing through the house.) It's divine! 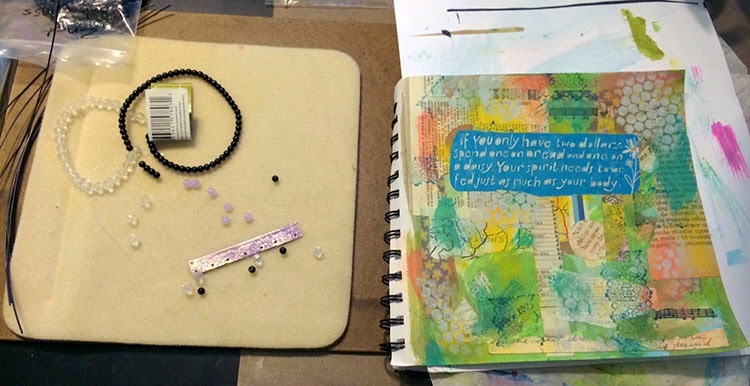 Love the colours and quote in your art journal. I haven't created much jewelry - yours looks lovely. 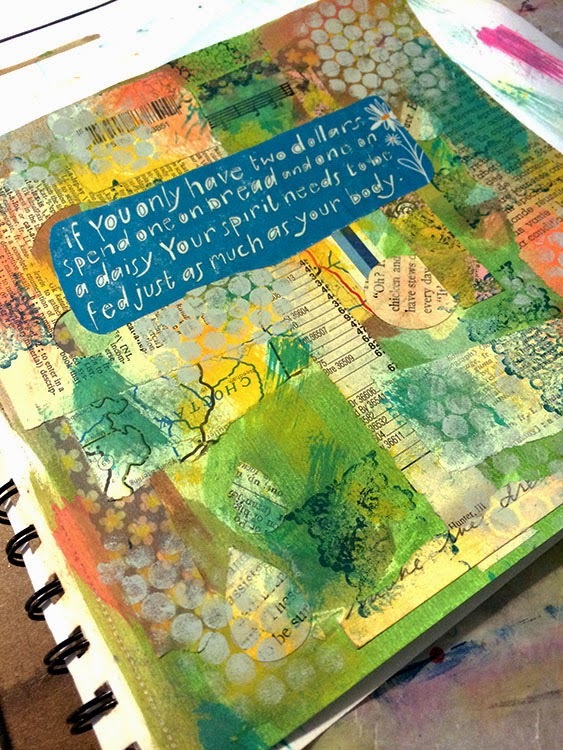 Love that art journal page - the colors are so cool! 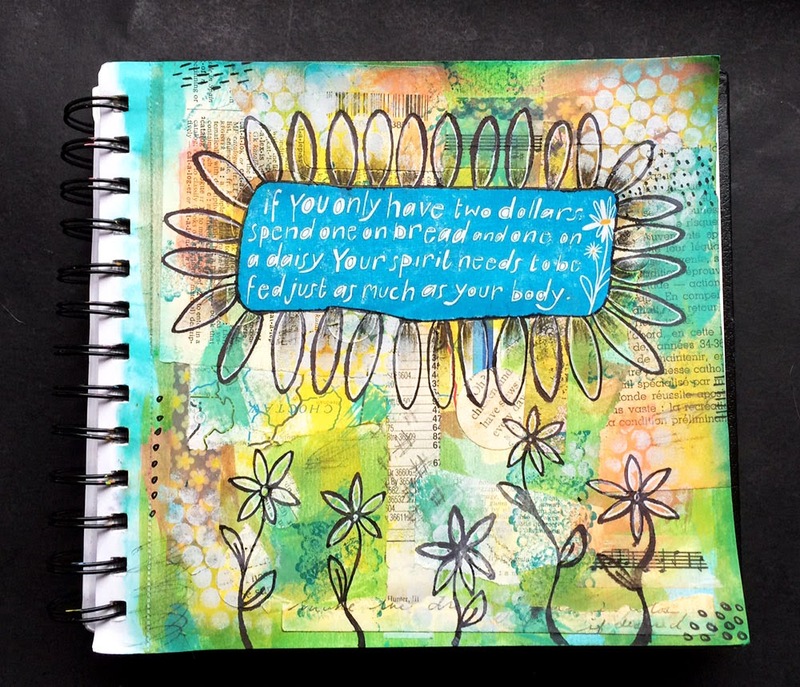 Love your journal page. The background patterns and colours are great! Great projects on your desk and I know all about having multiple creations crowding your workspace. Thanks so much for the heat gun advice "Don't do something stupid". I think both our DH's are on the same page.